Check out them checks! 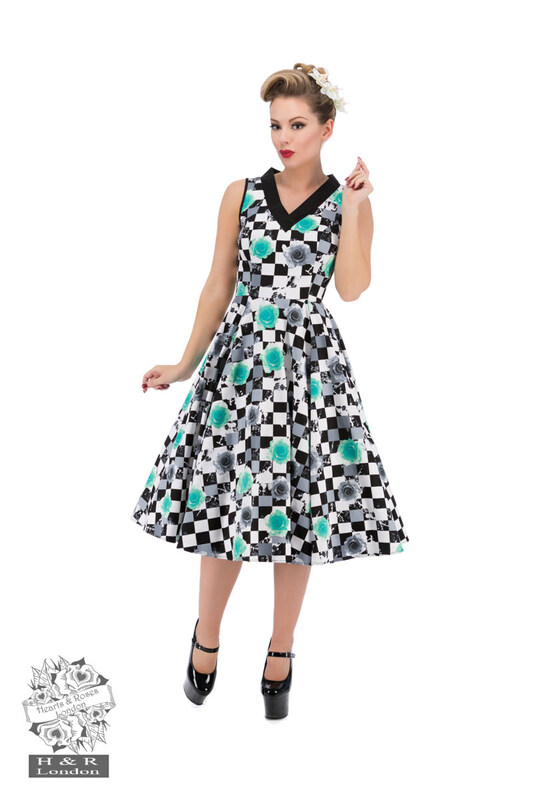 H&R London's brand new Petite Tulips Swing Dress will have you racing for the finish line for the pinup relay! 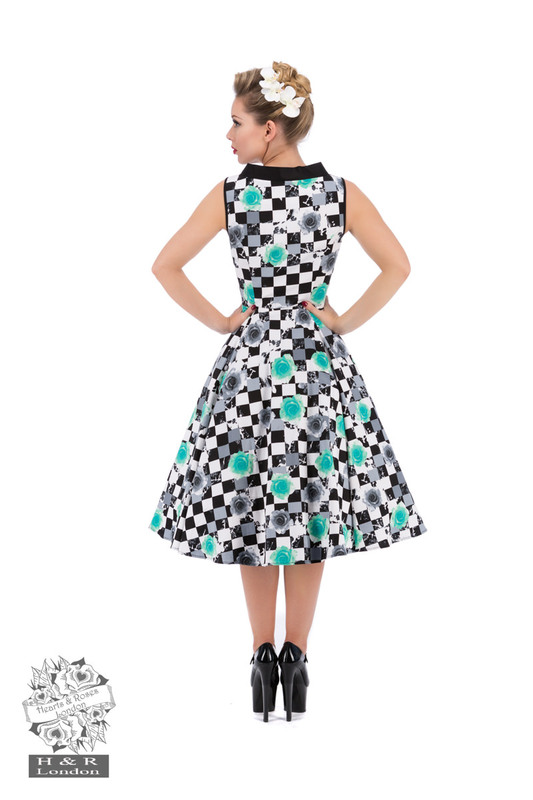 Unique checkerboard printed vintage-style swing dress with adorable petite tulips of mint green and grey spliced within. 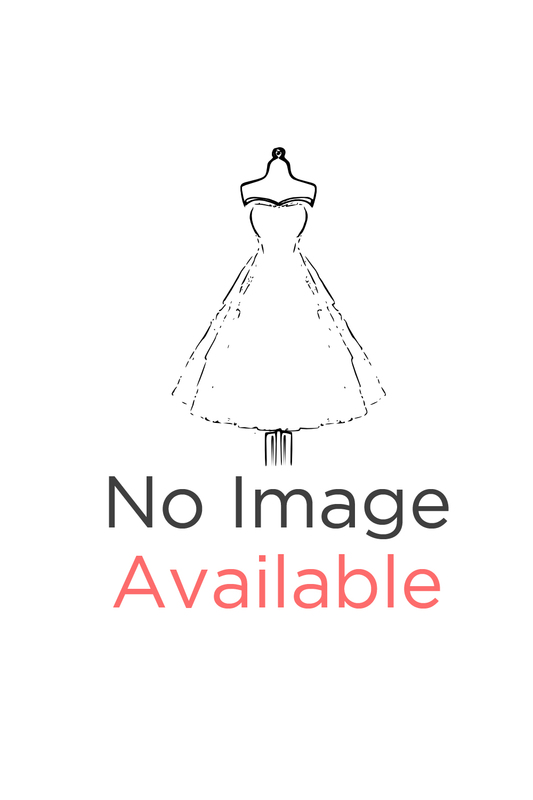 Dress is sleeveless, with a thick black piped v neckline, and black piping on the sleeve openings. Dress skirt flares at the waist.